After revelations that Hamas diverted millions of dollars of aid towards funding terror, government coordinator calls on Gaza to wake up. 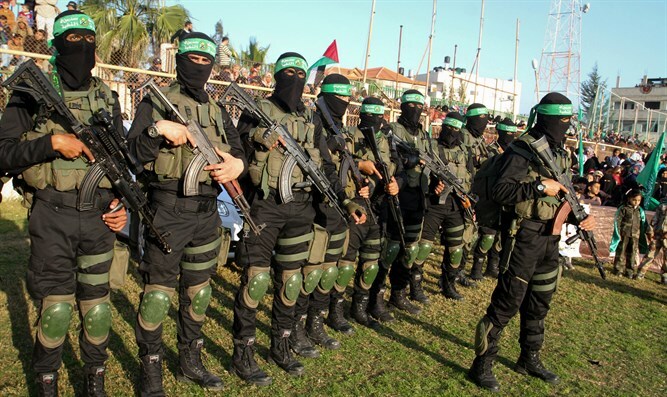 "Hamas is burying you and your hopes of living a normal life," he announced on the page. The announcement comes after Israeli secret-service unit Shabak revealed than a humanitarian NGO has been supplying weapons for Hamas. The head of World Vision's branch in Gaza, Mohammed Halabi, diverted millions of dollars meant for needy residents of Gaza to Hamas, who used the money to build their terror infrastructure. Mordechai is expected to meet with the incoming head of the World Vision organization later this evening, to present him with evidence of the diversion of funds. The Facebook page on which Mordechai posted his message is a media resource used by the government's "Unit for the Coordination of Government Activity in Judea and Samaria" to create contact with Palestinians on a grassroots. Since it was made three months ago, the page has attained over 35,000 followers and over 150,000 views a week from Palestinians in Judea and Samaria.